Zesty lemon cake with lemon butter cream. 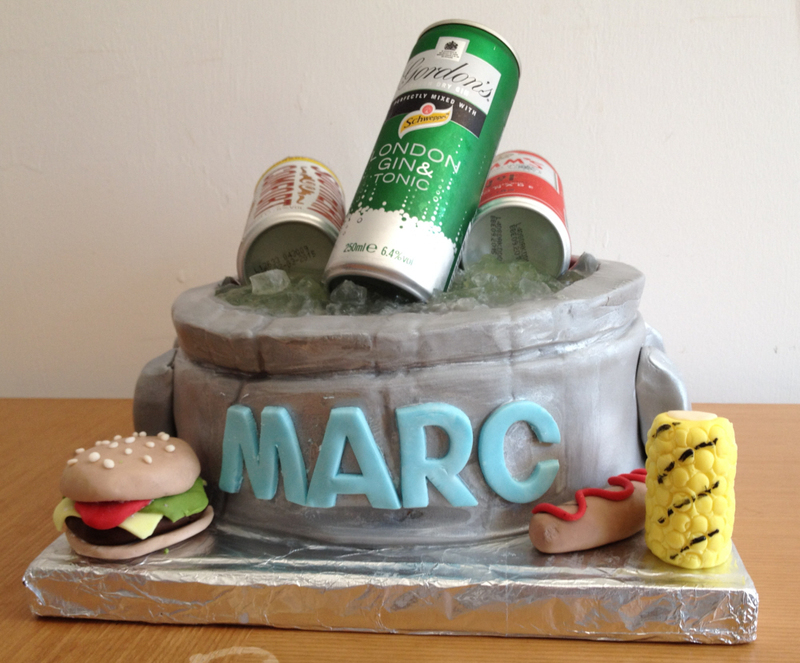 Decorated to look like an ice cooler with edible silver spray, home made lemon jelly for the ‘ice’, icing barbecue food and real cans of alcohol for the birthday boy. Made to feed 40 people.